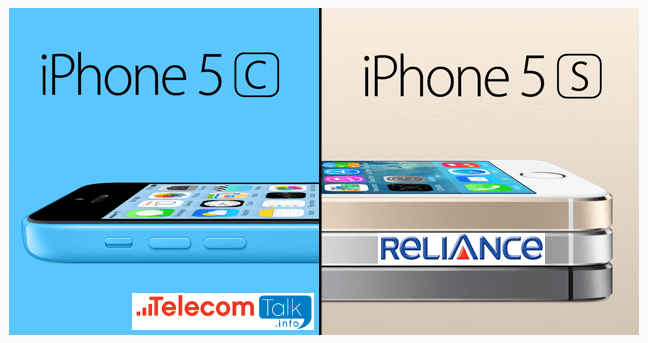 Reliance Communications (Rcom) now officially announced revolutionary Apple iPhone offers wherein customer can by just Rs 2,599 per month for the iPhone 5c and Rs 2,999 per month with 24 months contract with True Unlimited Calls, SMS, National Roaming and 3G Data offer that promise to change the way people buy the iconic Smartphone in India. Reliance has announced two game-changing offers—just Rs 2,599 per month for the iPhone 5c and Rs 2,999 per month for the iPhone 5s, both for a duration of 24 months—which include the handset cost, unlimited local and STD calls, SMS’, national roaming and 3G data. And in another first in India, ever, RCOM is offering these much-awaited iPhone models at no down payment. Furthermore, under this unique offer, Apple iPhone 5c and iPhone 5s customers will not receive any usage bill for 24 months, as the monthly payments include all usage charges. Only international calls and international roaming charges will have to be paid for. The zero down-payment offers are available on the iPhone 5c and iPhone 5s 16GB models. Customers can also avail of the 32GB and 64GB models of the iPhone 5c and 5s on a one-time upfront payment (as per the table below). Nexus 5 vs iPhone 5S: Which one’s a better buy this Diwali? I want iphone 5c 16GB how can I buy this ?? i have iphone 5s , i want to know that can i use reliance cdma in that .